Trans Canada Nissan Vice President Damien O'Reilly said he's all for in-house licensing after running a pilot there in 2011. A member of Ontario’s parliament hopes to pass a bill that would allow the province's dealerships to license vehicles. Apply for a used vehicle information package. Quebec and Prince Edward Island already allow in-dealership registration. "It cuts red tape for dealers. It’s a better consumer experience for the person buying the car. To me, it’s a no-brainer," Clark told Automotive News Canada. Currently, dealers must have their staff do the licensing transactions at either Service Ontario or Ministry of Transportation offices. In 2011, Ontario ran a pilot project that allowed Trans Canada Nissan in Peterborough and Belleville Toyota in Belleville to license vehicles in house. After the pilot project ended, the Ministry of Transportation announced on its website: "The pilot was successful, so full roll-out to over 5,000 dealers will start in 2012/13. This further expands MTO’s online services and reduces the need to travel." "The decision at the time was not to proceed based on cost and IT implications. ServiceOntario continues to look for ways to expand online access to high demand services for individuals and businesses," Ministry of Government and Consumer Services spokesman Stephen Puddister wrote in an email to Automotive News Canada. "I’m desperate to have it back," Belleville Toyota Owner Andrew Caletti told Automotive News Canada. "The convenience is unparalleled. The ability for us to turn licensing around when we need to, it’s fantastic. "The No. 1 reason we have to hold customers up on delivery is licensing. It isn’t reasonable to expect me to have a business model in which I can afford to have someone shuttle back to the licence bureau every 10 minutes." In Belleville, dealers are allowed to process just two licence transactions at once at the licensing office. After two transactions, the dealer staff member has to return to the end of the line to allow members of the general public to conduct business. "Nothing beats the convenience of us being able to do it in house," Caletti said. "If you make a mistake, you’re shooting back down to the licence bureau again. It’s not an ideal system that we have set up right now." 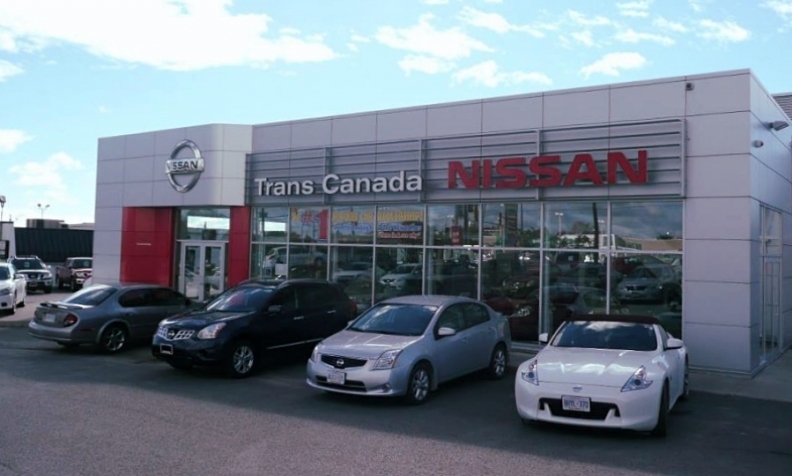 Trans Canada Nissan Vice President Damien O’Reilly said he’s all for in-house licensing. He used to pay staff to drive back and forth from the licensing office, using fuel and putting wear and tear on his vehicles. Now, the licence bureau in Peterborough makes house calls to his dealership twice a day, picking up and dropping off paperwork in the morning and afternoon. He wants the in-house licensing to return. "It went extremely well. It was very successful. It was very convenient. We didn’t have any problems whatsoever. It was very smooth," O’Reilly said. "The overall experience is better for the customer because of the fact they can pick up their car when they want instead of sitting around waiting for licensing." Frank Notte, director of government relations for the Trillium Automobile Dealers Association, hopes the current version becomes law, sooner rather than later. "The Trillium Automobile Dealers Association deeply appreciates MPP Steve Clark’s lightning quick action to re-introduce his Cutting Red Tape for Motor Vehicle Dealers Act. After unnecessarily putting the bill into reverse, we hope the Wynne government will place Bill 3 in the fast lane and make it law without delay," Notte wrote in a statement. "It’s frustrating that a bill which received all-party support has to start all over again from the beginning of the long and slow road to becoming law." Clark isn't yet sure when his bill will be up for debate.